BlackBerry is having an incredibly hard day in the market today. However, it’s not the only stock that’s having a rough time. In fact, the entire market is struggling as the Dow, NASDAQ, and S&P are all currently in the red. 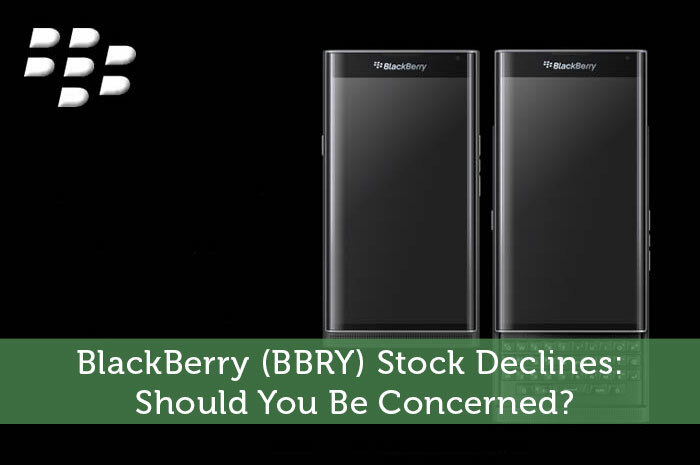 So, what’s causing the declines, should we be concerned about BBRY, and what can we expect to see moving forward? When I saw BBRY down so largely, I decided to perform a search to see what caused the value of the stock to sink. While it wasn’t much of a surprise, I found absolutely no stories of fundamental issues with BBRy. Nothing bad seemed to have happened. So, I decided to look at the market as a whole, and guess what, I saw declines happening across the board. From there, it was time to see why the market as a whole was declining. What I found was clearly the reason for today’s declines… It was Europe! It has been expected for quite some time that there would be a big announcement from the European Central Bank today with regard to economic stimulus in the region. However, most experts expected that the ECB would take a minimalist approach as we’ve seen from them time and time again. However, that’s not what happened. In a surprise action, the ECB cut deposit rates from -0.3% to -0.4%. On top of that the central bank made the decision to cut its primary interest rate from 0.5% to 0% flat and expand quantitative easing from 60 billion euros per month to 80 billion euros per month! Now the big question is, what does this have to do with BBRY? Well, nothing on an asset specific level, but it does have quite a bit to do with the US market and global market as a whole. You see, such extravagant efforts to improve economic conditions in Europe shows that economic conditions are likely far worse than originally expected in the region. Europe is one of the world’s largest economies and one of the largest trading partners to the United States. Therefore, when Europe has problems, we tend to see the ripples of the wave reach around the world when it comes to economic and market conditions. Should We Be Concerned About BlackBerry? In my opinion, the answer is no. If the declines were caused by poor fundamental data on an asset specific level regarding BBRY, I would be a bit concerned. However, that’s not at all what we’re seeing. Today, BBRY is falling as the result of overall market declines. So, when the market starts to improve, we can expect to see improvements in BlackBerry’s stock value as well. Ultimately, BBRY is not at all a cause for concern. BlackBerry has had a rough time in the market over the past several years. However, things are changing for the company, and in a big way. First and foremost, I’m incredibly excited about the company’s decision to not use it’s own QNX operating system in its smartphones, instead opting for the overwhelmingly popular Android operating system. On top of that, I’m impressed by the company’s ability to turn QNX into something outside of smartphones. Today, the operating system is being used to power traffic lights, medical equipment, manufacturing equipment and more as an integral part of the Internet of Things. All in all, I’m very impressed with the moves BBRY has been making as of late and I’m expecting to see gains in the value of the stock as a result.